Shipping your car internationally might seem daunting at first but it’s a surprisingly straightforward process. Below you’ll find information on the basics of how shipping your car internationally works, how much it costs and how to prepare your car for overseas shipping. 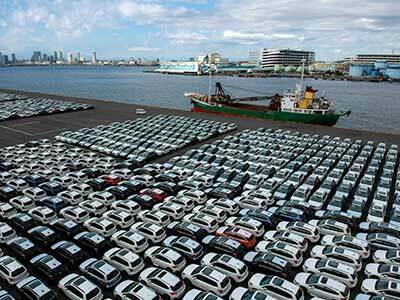 Car shipping companies ship from ports all over the United States, including San Francisco, Miami and New York City. A car shipping company transports your vehicle from one of those ports, and then it transfers your car to an over-the-ocean car shipper. The company responsible for shipping your car will offer one of three services: port to port, door to port, or door to door delivery. If your company provides door to door delivery, a representative will pick the car up at your desired location and drive it to the port for you. If not, you’ll have to make the trek yourself. 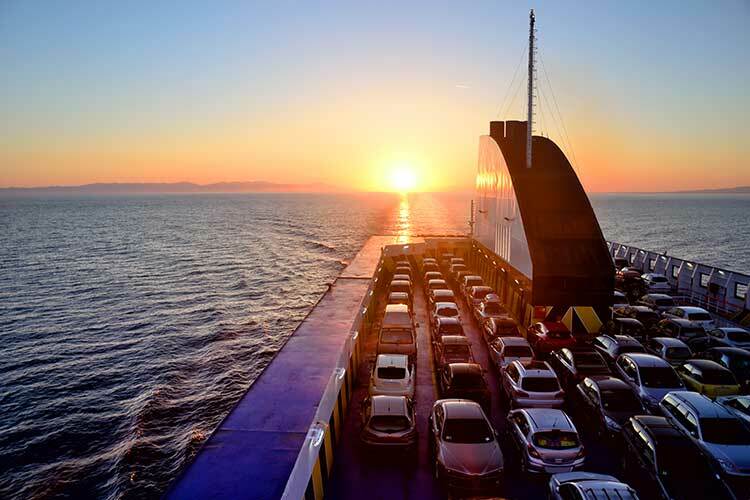 Most companies opt to transfer your car on a ship using large moving containers to hold your vehicle. There are two types of containers for the ocean: an ocean container and a roll-on/roll-off container, also known as a RORO. The ocean container is ideal for shipping a standard vehicle abroad while the RORO is much larger and suited for RVs, buses or heavy machinery. RORO containers are exposed to the elements, so they’re likely to get wet from seawater. Once your car reaches the port of entry, an agent will accept the vehicle on your behalf. Although you’re free to hire any overseas agent of your choosing, the international car shipping company hired to handle the shipment will likely have agent recommendations. The agent oversees the car clearing import customs and will ensure it has the modifications needed to be legal on roadways in the new country. Agents can also help with temporary insurance and registration if either is required. How Long Does it Take to Ship a Car Internationally? Shipping your vehicle across the ocean is considered the safest way to transport a car, and the amount of time it takes to ship a car internationally varies. It can take from one week up to a couple of months depending on the distance and ports involved. The shipping companies you get quotes from should be able to tell you how long to expect your vehicle to be in transit. The cost of shipping your car internationally varies and hidden fees can be attached. When choosing a company to move your vehicle, make sure the price reflects all charges and not just the base cost. The average cost to ship a car internationally ranges from $900 to $2,000, but you need to tack the destination charge onto that amount, which varies from $500 to $800 per car. Destination charges cover import fees, taxes, unloading and delivery fees. Your car shipping company can give you a detailed breakdown of your total cost, so no fees surprise you. If you aren’t able to drive your car to a port, you’ll have to pay for a company to handle the move, which can range anywhere from $100 to $900 depending on your proximity to the port. Some companies include domestic travel in their quote, but others don’t. Make sure you know what you’re paying for. Get quotes from a variety of businesses, keeping in mind the price may change based on fuel cost and other surcharges. Typically, a quote is honored for 30 days. It’s important not to choose a company based on an advertised rate since companies often promote their most affordable option for the smallest car in advertisements. Although shipping insurance is optional, the shipping company will likely recommend it due to liability limits on the company insurance. Feel free to research insurance options on your own, but most car shipping companies have preferred insurers. When choosing an insurance company, understand the policy in regards to coverage for shipping your car in case you need to use it. Researching potential international car shipping companies before you start sending out emails and making phone calls seeking rates is key. When choosing a company to handle shipping your car internationally, make sure they are licensed, verified and bonded. Be sure to ask if the company is fully insured and licensed or if they rely on a third-party service. Also, spend some time reading reviews across several platforms, like the Better Business Bureau, social media sites and Google reviews. Check with the car shipping company to find out how much fuel can be in the tank during shipping. Companies don’t allow much gas in the tank since it’s flammable. If you arrive with a full tank of gas, it will be pumped out, and you won’t get it back. It’s important to check with your moving company to be sure you have all the required legal documents. You will probably need to have some forms notarized.